In the previous blog post, we went together to discuss Magento Store Hierarchy Overview and understood about the structure of Magento hierarchy including Website, Store and Store View. Today, we will explore more absolute knowledge about Magento multiple website and multiple store views to take a detailed and precise look at each level. Magento Multiple Website means that you can run more than one website from the similar Magento installation. Let assume that you want to sell furniture and electric equipment at the same time; you will create two websites furniture.com and electricequippment.com, for example. Thus, these two websites are called multiple sites under one complete Magento installation. So what is the advantage of Magento Multiple Websites? When you set up more than one website, you can get more flexibility and convenience to take stores in your control because you need to manipulate in a single admin dashboard. With multiple websites, you can widen your business with a lot of products without complicated management due to all gathering in only one admin dashboard. Magento Multiple Store View is included in one store of each website with the ability to have localization support. It means that one store will have different store views along with particular languages to sell products more conveniently for local communities. Take the furniture.com as an example. You want to provide various products on this website such as tables, sofa, and wardrobe. It will be better for you to create a separate category for each of them. Therefore, you can use different subdomains for these 3 kinds of products such as tables.furniture.com, sofa.furniture.com, and wardrobe.furniture.com. These are 3 stores on a single website and are also called multiple websites. Depending on your target market, you will set up specific store views to provide more support for these customers. For sofar.furniture.com, if you want to direct your products to some countries that have primary languages like English, Spanish or French, corresponding store views set up are English, Spanish and French ones. One store view is per language. They are called multiple store views of one store under a website. What can we get when optimizing our store with multiple store views? – Store View will cope with everything that can be solved only by applying the design/template directory on the server or language pack. 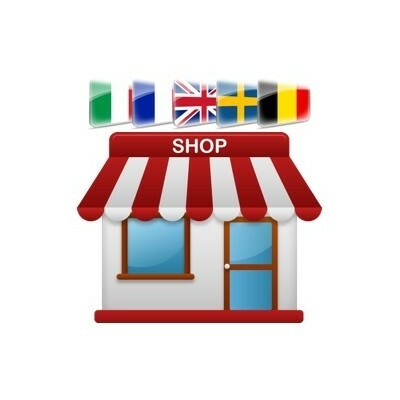 – Generate more sales due to enhanced shopping experience via language support. Also, for the reason that your store views are purposed to enhance the shopping experience in markets with various languages, it is essential for you to be like-native when translating web content into your customers’ mother tongue. Then, multiple store views can be optimized and bring as many benefits as possible for your business. In conclusion, Magento Multiple Website and Multiple Store View are fundamental factors for store owners to start their own e-commerce business. Let’s consider carefully about demands, products, target market and so on to make the right decision.